Following another stellar year for Jimmy Carr, his eighth live show Laughing & Joking is now here. 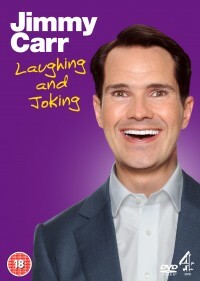 Touring to over 1.5 million people and hosting hit shows 8 Out of 10 Cats, 10 O’Clock Live and The Big Fat Quiz of the Year means that Jimmy knows a thing or two about making people laugh. The show is packed with one-liners, stories & jokes. Some clever, some rude and a few totally unacceptable. Laughing & Joking is a chance to see this award-winning comedian at his near-the-knuckle best.